Welcome to our Car of the Week series, where we feature BTE customers and fans, and the cars (and trucks) they love to drive and race. While we've had many a make and model, today is a first for this series: a woman! 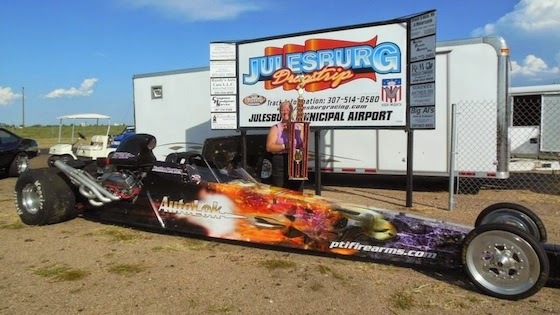 Give a warm welcome to Kathy Porter of Kimball, Nebraska and her Fritz RED dragster. 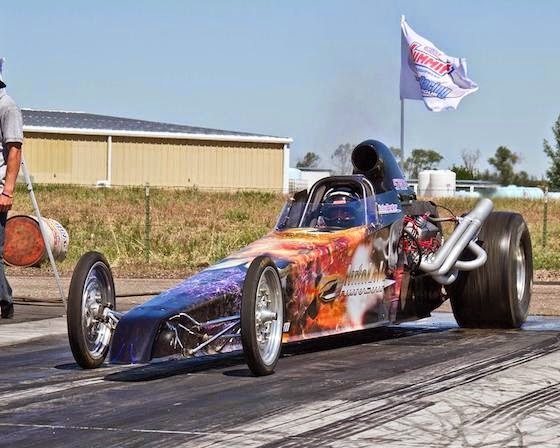 My son started driving a Jr. Dragster in 1995 when he was 12, the 2nd year that NHRA had the program. After he ran for a few years, I had so much fun with the Jr. program that I wanted to drive myself. Douglas Motorsports Park, Douglas, Wyoming, in June, 1998. I have a Fritz RED dragster. I purchased the car from Milt Gedo, who was a former Super Comp champion and was then racing at Bandimere Speedway. I was told that the car had been originally built for Jerry Fritz as his personal car, but then sold when he didn't have time to race it. The car came with a BTE transmission and that's what I have continued to use. We use BTE parts whenever we rebuild and it has a BTE valve body and transbrake. We also use a BTE torque converter. The customer service and quality of the parts. BTE was the only transmission builder that would talk to me about the correct converter to use with a big block Ford (and I called all of them). Probably the same car I am driving now, only I wouldn't have to worry about hurting parts! I race in Super Pro bracket, sometimes using a throttle stop and I really enjoy the class. Why choose a bolt together torque converter?